A newspaper article recently came to light that upended our elevator construction timeline, causing us to reconsider the story of the Lodgepole, Neb., elevator and the careers of Joseph H. Tillotson and my grandfather William Arthur Osborn. My dad, Jerry Osborn, said that the death of Bill Morris, the superintendent on the Lodgepole job, and that of Joe Tillotson, the owner of J. H. Tillotson, Contractor, came within a month or so of each other. Now it appears likely that the season was the same, but both fatal car accidents occurred in different years–1945 and 1947–a fact easily misunderstood by the young boy my father was at the time, as he listened to the adults talk about business. 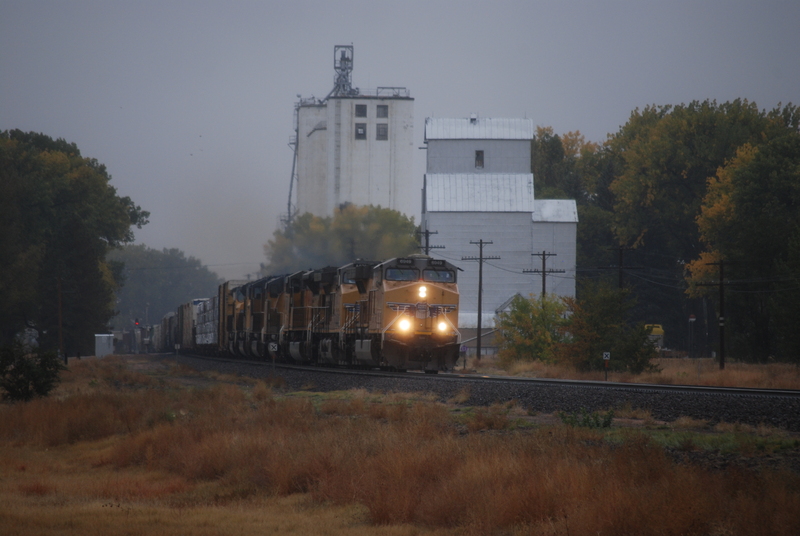 We believe this photo by William Osborn is from Lodgepole, Neb. SIDNEY, Neb. (AP). W. B. Morris, 36, an employee of the Tillotson Construction company, of Omaha, was fatally injured Saturday night when struck by a car driven by Howard B. Kirk, 48, of Lodgepole, Neb., Deputy Sheriff Arnold Braasch said Sunday. The deputy sheriff reported Morris was changing a tire on his car about ten miles east of here when the accident occurred. He died in a hospital about five hours later. Braasch said Morris’ home was in Texas, but that he was living in Lodgepole while working on the construction of a new grain elevator. County Attorney R. P. Kepler said he will decide on Monday whether an inquest is to be held. We attributed the Lodgepole elevator’s construction to J. H. Tillotson, Contractor, the independent company Joe Tillotson started after his parting of the ways with Tillotson Construction of Omaha. We wrongly believed that both Bill Morris and Joe Tillotson had died in 1947 while working on the Lodgepole job. Now we know that Bill Morris died in 1945 while working for Joe Tillotson. The new fact pins down the date of Joe’s departure from the Omaha company–a move my grandfather made at the same time. When interviewed in 1949 about his first, independent, Mayer-Osborn Construction venture in McCook, Neb., William Osborn named a number of elevators he had built before. We still believe all of the elevators Bill Osborn listed were J.H. Tillotson elevators. According to the McCook article, Bill Osborn said the elevators in Maywood, Traer, Wauneta, and Lodgepole were built in 1945. If the reporter was right about Bill Morris’ employment, all of the 1945 elevators would be too early to be J. H. Tillotson elevators. However, none of them were recorded in the Tillotson Construction specifications and none built in the Omaha company’s style. The reporter writing about Bill Morris’ death in 1945 was unaware of the freshly minted company Joe Tillotson had started, and wrongly identified Bill Morris as a Tillotson Construction of Omaha employee. 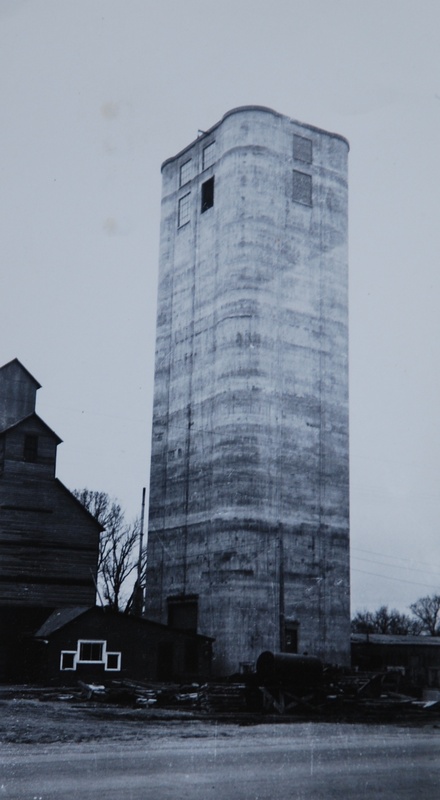 An early photo of the Lodgepole elevator was kept at the location. The fact that in 1945, Bill Morris went from a superintendent job at a verified Tillotson Construction project in Giddings, Tex to a superintendent position at the Lodgepole elevator job, a project demonstrably not built by the Omaha company, precisely dates the time Joe Tillotson chose to go out on his own. 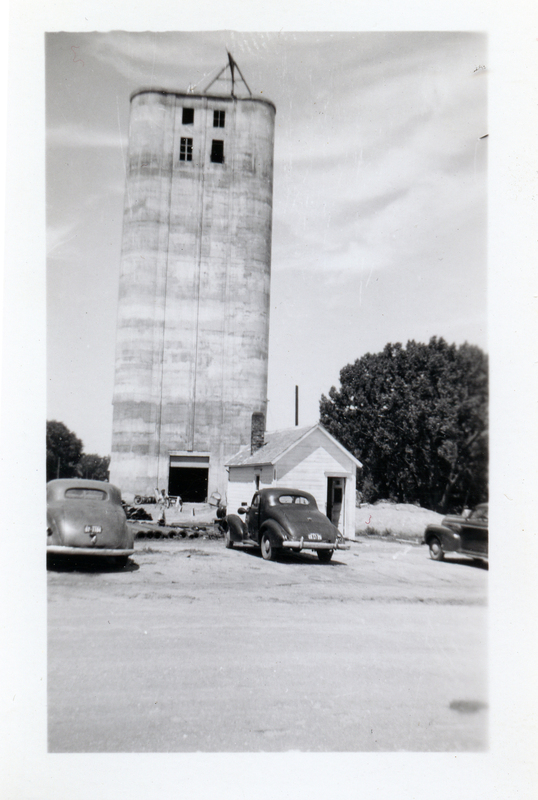 The 1945 construction date of the Lodgepole elevator gives us a much more accurate understanding of the birth of J. H. Tillotson, Contractor, a venture that lasted about four years, until my grandfather built the McCook elevator for Mayer-Osborn Construction in 1949. 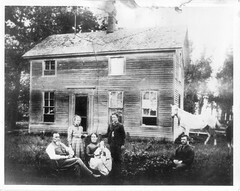 A tragedy took Morris in his prime, but my grandfather stepped into his place, gaining valuable experience as a builder. To this day, the graceful Lodgepole elevator serves as a fitting monument to Morris’ productive career. This entry was posted in Bill Morris, J.H. Tillotson, Contractor, Joseph H. Tillotson, Mayer-Osborn, Photography, Tillotson Construction Company, William Osborn and tagged construction, grain elevator, J.H. Tillotson Contractor, Joseph H. Tillotson, Lodgepole Nebraska, Maywood Nebraska, slip-formed concrete, Tillotson Construction, Traer Kansas, Wauneta Nebraska, William Osborn. While researching elevators my grandfather worked on, (he was a foreman and traveled around building concrete slip form elevators) we found that between what my mom, her sisters, and my grandmother remembered and tax returns throughout the years, that all the information and time lines were just a bit off. It is hard to pinpoint some of things that happened. In fact on one job that we are fairly sure he worked for one company, there is a different company’s name on the manhole covers. That company though didn’t exist anymore when that elevator was built and we theorize that since the same people owned both companies, that they had manhole covers left over from the “old” days and used those even though he elevator would have been built under the new name. I just lover reading your posts. So much reminds me of our research and how we all have the same issues and find some of the same tragedies and some of the same neat stories. Do you remember what the old company name was? I think we may have run into the same thing with the elevator in Burley, Idaho, which has Mayer-Osborn manhole covers, but which may have been built after the demise of the company, by its successor. We are still trying to figure out how and why Mayer-Osborn shut down, and where their employees went. Have you ever heard of Eugene Mayer, and did he work at Johnson Construction? I have wondered if he continued his design career there. Well without going back to look, I think it was a Johnson Elevator who built an elevator in IA and they used a manhole cover that said Johnson and Sampson. I didn’t come across the name Eugene Mayer, but we were focused more on my grandfather and what elevators he built and where and who he worked for and not who designed them. I will have to check that out. It would almost seem that he might have since a lot of the elevators my grandfather built had the same designs of those you post. I know I probably bore you with my comments, but I find all this so fascinating. So you at least know one person reads and loves your posts! Also on a side note, my grandfatehr never went that far west, but I work for a company who has a distribution center in Burley ID. Alot of the places you mention are very near or in the same places my grandfather was. This one wasn’t but I still have a slight connection. lol. I should say, if you are interested, I have a copy of the book my mom put together on the elevators my grandfather built. Maybe you could put a timeline together with the information you have. I still have it electronically if you are interested. It would be great to have the book–it is of great interest to all of us, and it would certainly help us with the chronology of events. You write some fascinating comments. I think our readers find them as interesting as we do. We started out on the same mission as you did, trying to find all the work our grandfathers did. So your story is of great interest to me, and also to those who follow this blog, some of whom also have Johnson Company connections. I would like to explore the Johnson and Johnson Samson companies further. I suspect more than a casual connection to the companies we have profiled here. If we discover that Eugene Mayer moved on to Johnson Company, that would be a huge win, since the similarity in elevators has baffled us for a couple of years. If you will send your e-mail to me at efrank@dotfoods.com I will send you the link to the file for the book. or I might have an extra hard copy I can mail you if you wish.